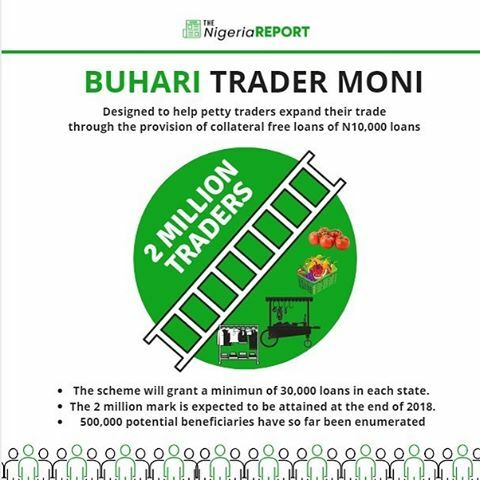 The Nigerian Government has announced the take off of Trader Moni: a scheme that offers N10,000 collateral free loans to petty traders in the first instance & much more after repayment. First off all lets all agree this is a political move to share helicopter money as elections draw near, no debate, however I want to explore this concept of free money. It may sound like a stupid question but do SME actually say cash is their problem? eg rice growers have been given Anchor Borrowers Loan but they lack irrigation, title, storage, processing plants….in effect I ask will cash solve the problem of say lack of US dollars to import 44 items still on CBN forex ban list? If real interest rates in the economy are double digits, should the first step not be to simply address why cost of funds are so high? Then reduce them? Will this not be more impactful? Lending to SMEs is very risky, the risk premiums demanded by lenders reflect this premium. So it is understandable why the Federal Government wants to embark on direct lending. However If Nigeria really want to support SMEs…..then institutionalize it…. Create a loan guarantee fund to cover cooperative societies. 3.let the loan guarantee fund kick in N50,000 to each cooperative group….the group dynamics will ensure mutual monitoring of loan proceeds and payback. Nigeria gets a Small Business credit scoring. There is a place for free money, ie helicopter money but this program will reinforce a notion that FG money is for “sharing” We have tried this before…Nigeria gave out massive salary increases when oil was booming in the name of “spreading the wealth”….the effect was inflation and corruption. There is a desire to mix politics and business with 2019 in mind, it will be hard but Nigeria must resist that desire.